Roll of Tapewire, comes in 50, 30, 15, or 5 foot lengths – Lighting Bug Ltd. 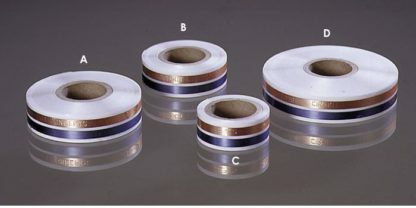 Roll of Tapewire for all Cir-Kit Concepts wiring projects. Select 50, 30, 15, or 5 foot length. 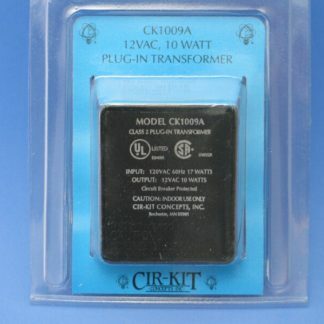 Our double conductor tapewire is the “heart” of all Cir-Kit wiring systems. 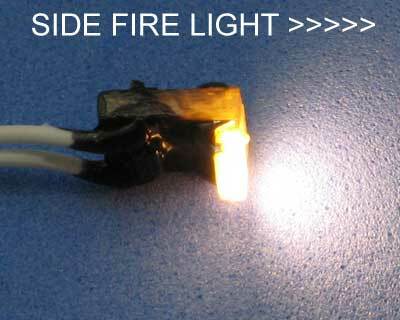 From its introduction in 1976 to the present it has been the predominant method of dollhouse wiring. Its use creates a printed circuit type layout and completely eliminates the congested wiring found in conventional systems. A super strong adhesive, exposed by the removal of a peel away paper carrier, ensures a secure grip on any surface. Since the copper foils are sandwiched between two layers of transparent tape, the tape may be applied even over bare metal. The exposed transparent tape has a matte finish allowing easy application and retention of paint. Several major improvements have been incorporated into the design and manufacture of the Cir-Kit Concepts’ tapewire. The most significant is color coding of the copper foils. This new feature greatly simplifies the making of corners during the wiring process. 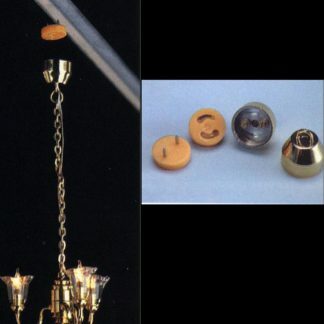 Brass brads are installed only at the blue-to-blue and copper-to-copper overlap points, eliminating any possibility of short circuits at these locations. As great an idea as color coding may be, if the colors are too intense they will bleed through light wallpaper or paint and appear as unwanted ribbons of color. To ensure this doesn’t happen, the one colored foil is made of a light pastel blue for easy masking. Another problem that occurs with other, lesser quality brands of tapewire is “bubbling”. This is a phenomenon that takes place once the tapewire is in place. As time passes, the transparent overlay begins to buckle causing ripples that eventually show through the wallpaper or paint coverings. 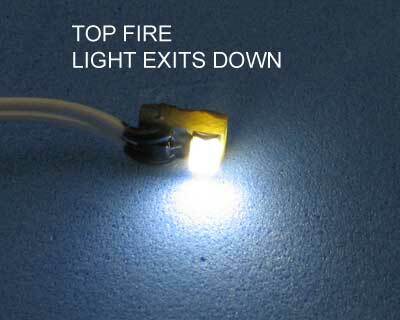 Using a special manufacturing process, Cir-Kit Concepts has completely eliminated this problem. A tape run made today will appear as straight and true in a year as the day it was laid. 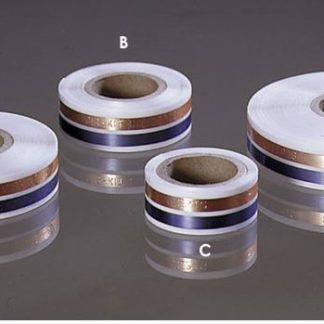 The Cir-Kit Concepts’ name is also embossed on the natural copper foil to identify it as the one and only Cir-Kit Concepts’ tapewire product. The main body of the tape is 5/8″ wide with a total thickness of approximately .005″. The copper foils will carry up to 5 amperes of continuous current.